NOTE on this Purchase: This is not a claim. 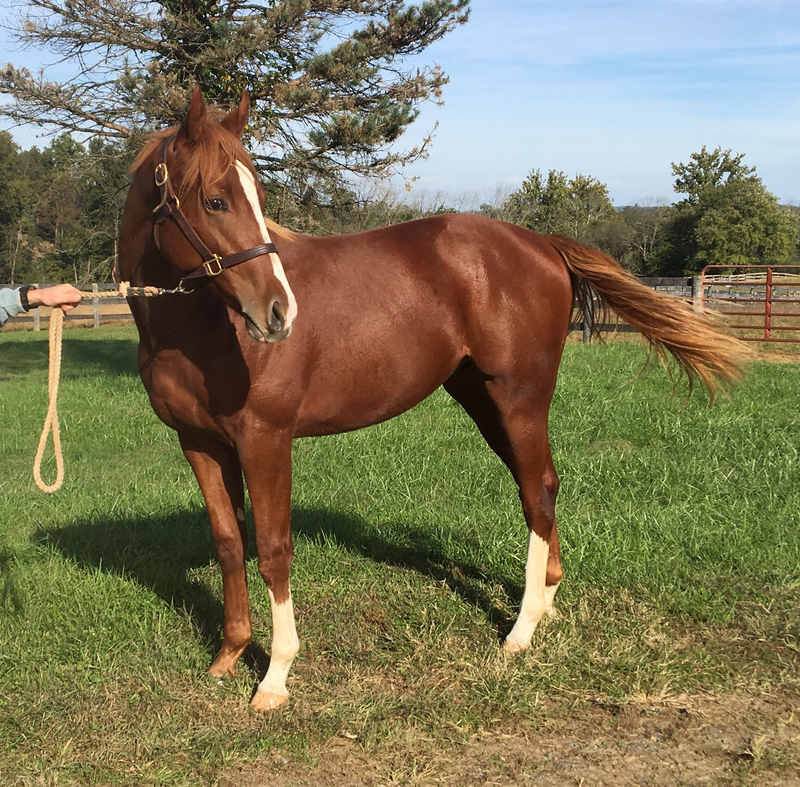 We purchased this Pennsylvania-bred colt at the Mid-Atlantic Fall Yearling sale in October 2018. He was Hip #198. Like all of our programs, we are protecting Club members from any downside and we are only rolling 6 months of estimated expenses into the cost of the acquisition. By rolling into the initial offering the first 6 months of training costs we hope to make this opportunity available to everyone. This will all be credited in the purchase price as “Pre-Paid” training. This Pennsylvania-bred Golden Lad out of a Hard Spun mare walked correctly and cleanly and vetted cleanly too. We were targeting Golden Lad yearlyings all sale, when the reserve did not come off for this horse we quickly worked out a private deal. 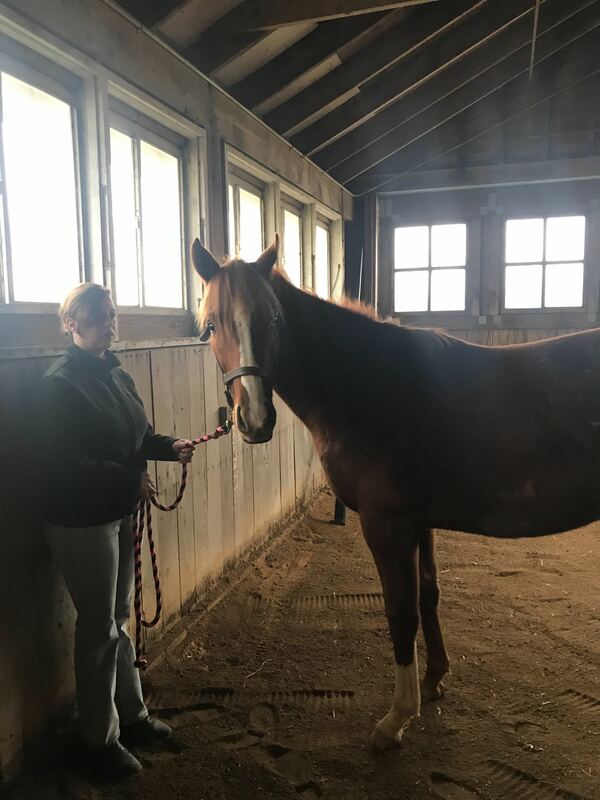 This horse is off to MiddleBurg Training Center for 6 months to earn his Virginia certification before beginning training for his debut hopefully sometime in 2019. For the price point and value many experienced folks thought we walked away with a steal. 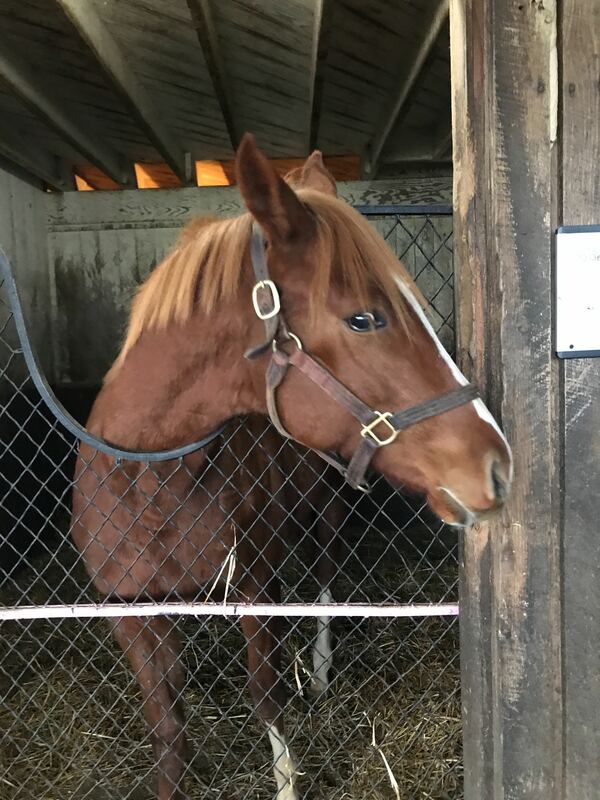 We bought this horse to race, not pinhook. 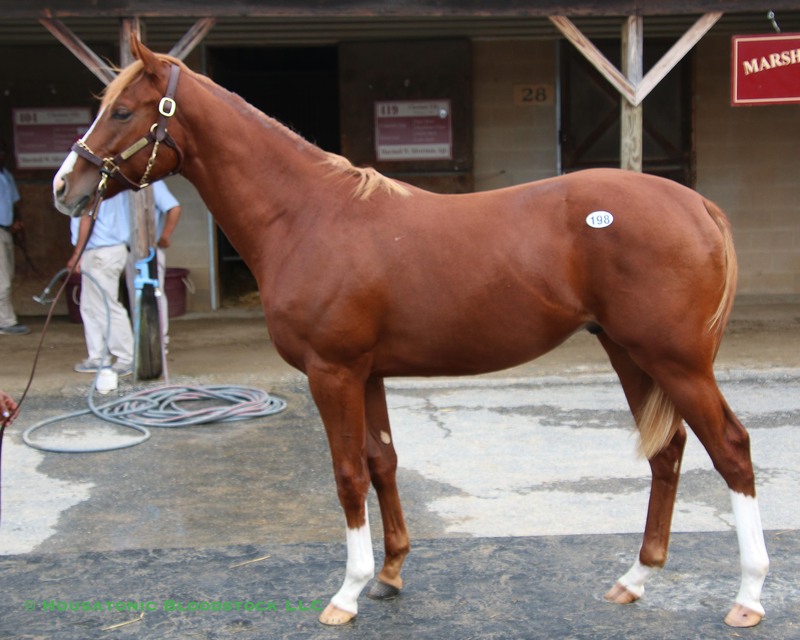 Hip 198 is by Golden Lad, a track record-setter and four-time stakes winner of $645,320, who took 8 of his 15 starts from 3- through 5-years-old, including the Razorback-G3 and Cornhusker-G3 handicaps, plus he set a Gulfstream Park track record for 1-1/16 miles. 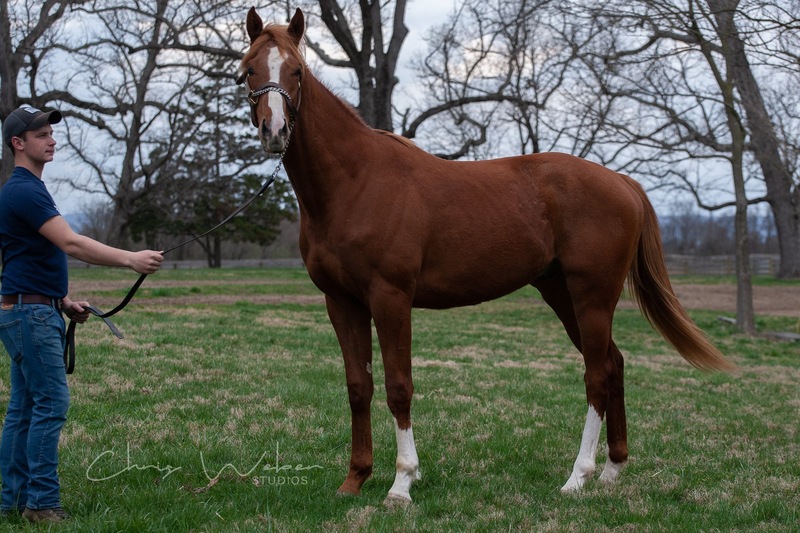 Golden Lad is a half-brother to Grade 2 winner Broadway's Alibi and to multiple stakes winner R Gypsy Gold, all of them being out of stakes winner Broadway Gold, herself a half-sister to the Grade 1 winner and last year's Leading Freshman Sire Dialed In. 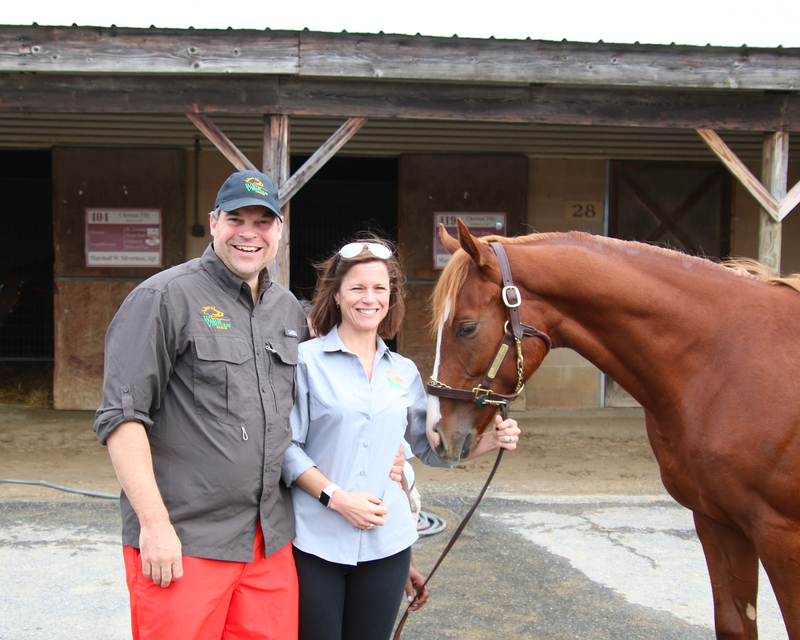 Golden Lad's third dam is the Eclipse Champion Eliza. This colt is from Golden Lad's first crop. 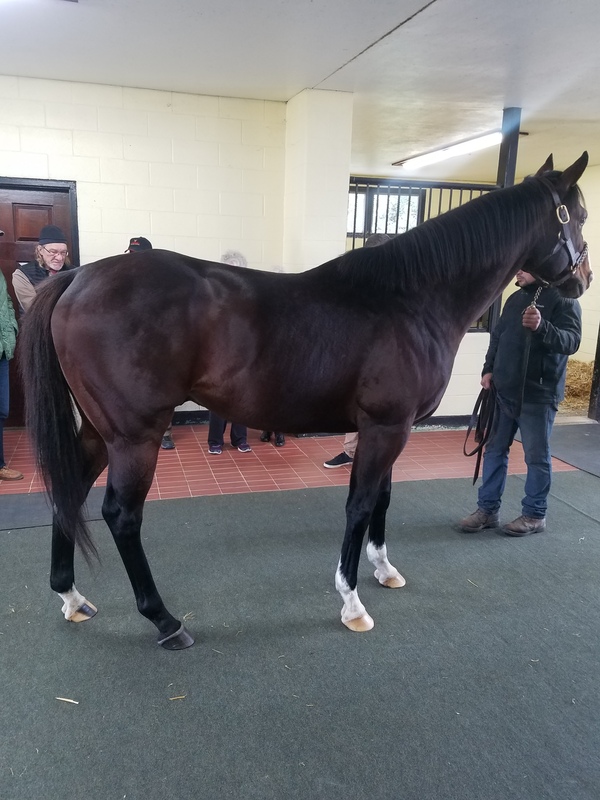 Golden Lad covered more mares in his first season at stud (102) than any other stallion in Maryland, and so far in 2018 he has had 20 of his first-crop yearlings sell for an average of $27,025 off of a $5,000 advertised stud fee. 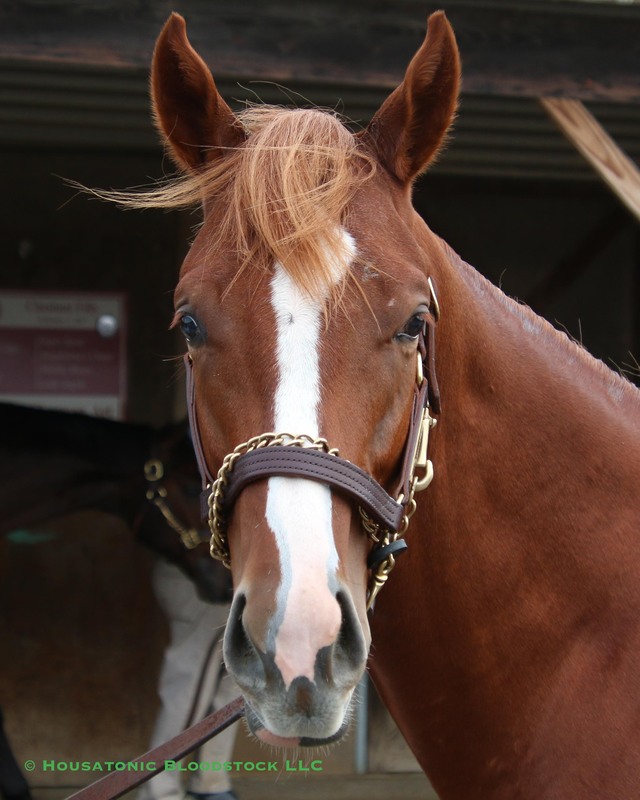 Those yearlings include a $120,000 filly and a $72,000 colt. 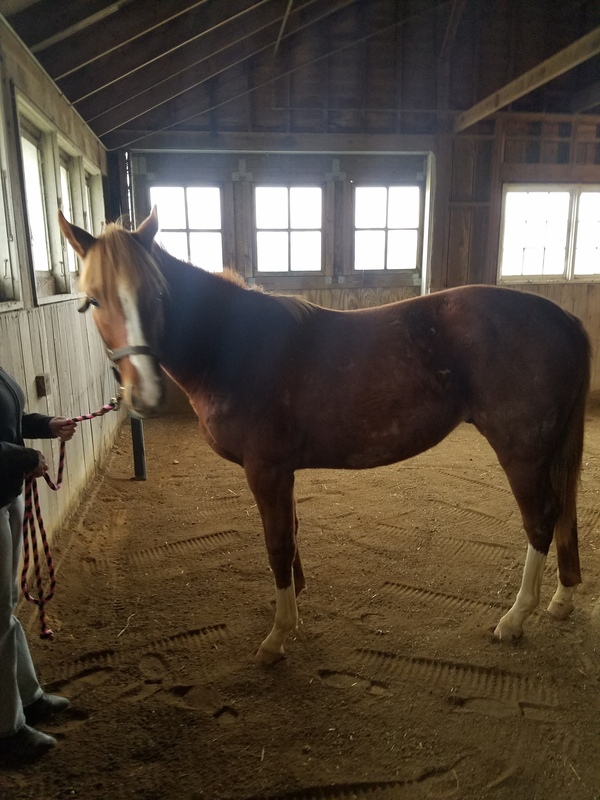 This colt is the first foal from his dam, Hardrainsgonnafall, who is by the Grade 1 winner and leading young sire Hard Spun (by Danzig), and she is out of Ennis Lady, a full-sister to Grade 3 winner and Maryland stallion Despite the Odds. Ennis Lady is also a half-sister to Champion Chopinina. The cross that produced this colt is very similar to the Sadler's Well/Danehill cross that has been all the rage in Europe recently, as Golden Lad is a grandson of Sadler's Wells, while Danehill and Hard Spun are both sons of Danzig -- which suggests that this colt might also have some turf ability, even if on the surface both his sire and broodmare sire were dirt runners.